I wrote this guide for a friend but thought it worth publishing on the blog as others may find it useful. This is the classic day hike up and down Helm Crag which, for good reason, is trodden by many thousands of people every year. 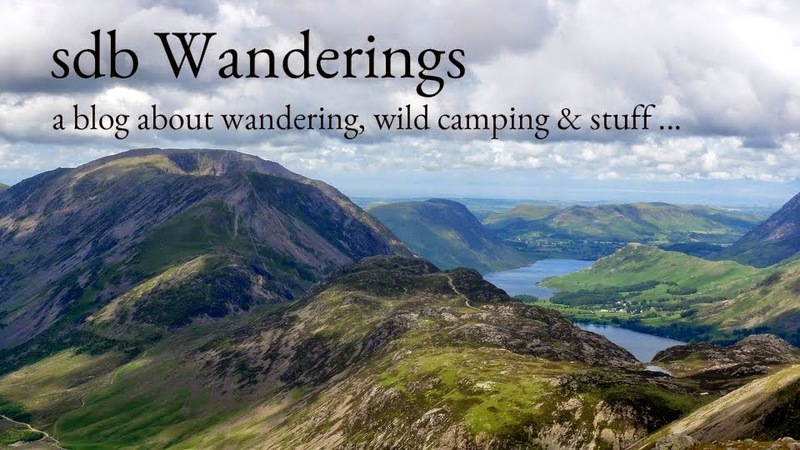 It is particularly suited to those making their first foray into fell walking as it has all the virtues of a perfect Lakeland hike, but in miniature. Wainwright described it as "a brief essay in real mountaineering". It is an easy climb which offers fantastic views over to neighbouring fells and down to the lake of Grasmere. It also has one of the best summits in all the Lake District with an abundance of interesting rocky scenery. My son managed it easily when aged 4 and I have seen folk in their 90's enjoying this climb. It really is a family fell and a great introduction to hiking. Cumbria Tourism produced an excellent free 'Wainwright Audio Guide' podcast intended to be used while on the walk and I have linked to this here (to download the free 15 minute mp3 file right click on the link and select 'save link as'), or you can listen via the embedded player below. Narrated by Wainwright impersonator Nik Wood-Jones, this is closest you can get to walking in the company of the great man himself. The walk starts in Grasmere village where there are numerous public car parks. Helm Crag is clearly visible from the Grasmere area and the 'lion & lamb' summit rock formations can be seen clearly from most vantage points. Head off up Easedale Road (opposite the famous Sam Read bookshop), walking towards Helm Crag which is visible for most of the way. After about 1/2 mile the road passes through a gate and enters a meadow in the grounds of Lancrigg. Continue along the road until it reaches the start of the footpath between some cottages. Take the right fork up a cobbled path through some woodland and then another right at the T-junction following signs for Helm Crag. After a short distance take the obvious leftwards path up to some wooden fencing and then follow the dry stone wall up a steepish section until the wall end. At this point the path turns leftwards (west) and continues to rise less steeply. Don't forget to glance backwards at Grasmere and over to the far left as Easedale Tarn comes into view. The path soon climbs up onto a rocky outcrop (Jackdaw Crag) which is a great spot to sit and rest for 10 minutes while admiring lovely views over the Easedale valley. Having recharged the batteries, rejoin the path which soon turns eastwards onto more grassy terrain, eventually emerging onto a wide plateau where the view opens up to reveal much higher neighbouring mountains over Dunmail Raise. The large fells which dominate the scene are Seat Sandal, Fairfield & Great Rigg which should whet the appetite as objectives for another day. From here the summit is just a short climb away and once there, a leisurely exploration is well worthwhile. 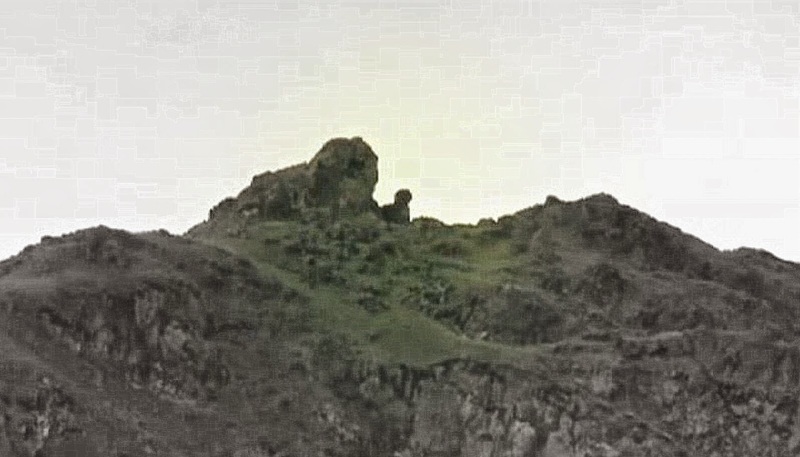 The first set of rocky protuberances are the 'lion & lamb' formations seen from Grasmere. From here follow the wide summit plateau along to the other striking rocky feature, the 'Howitzer', at the northern end. So named as it appears as if a giant artillery gun is pointing skywards. The top of the Howitzer represents the true summit but does require some 'rock climbing' to get there. Those of a nervous disposition would be best avoiding this little challenge and be comforted in the knowledge that Alfred Wainwright himself never managed to reach the true top. 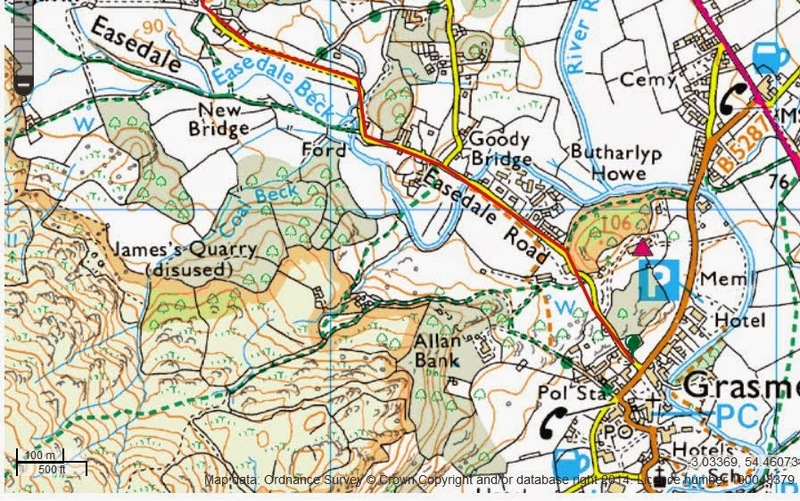 From here most folk will return to Grasmere via the same route and be content with their 2-3 hours effort. However, if you have surplus time and energy then a number of routes are available to extend the walk. An additional 2 hours will take you northwards along the ridge to Gibson Knott and Calf Crag from where you can return to Grasmere via the far Easedale valley. That route is described here. 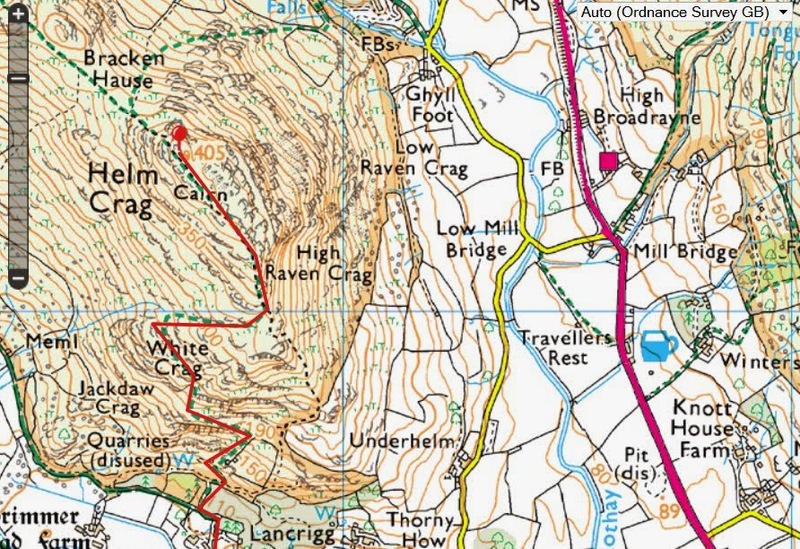 Alternatively, from Calf Crag you could return via the lovely & quiet Greenburn valley, or extend the walk over to Steel Fell. Fit and experienced walkers could go on up to High Raise and then return via Sergeant Man and Easedale Tarn, or via the Blea Rigg to Silver How ridge. There are many options but while other nearby fells may offer better views and more challenging walking, none have a summit to compete with Helm Crag itself.